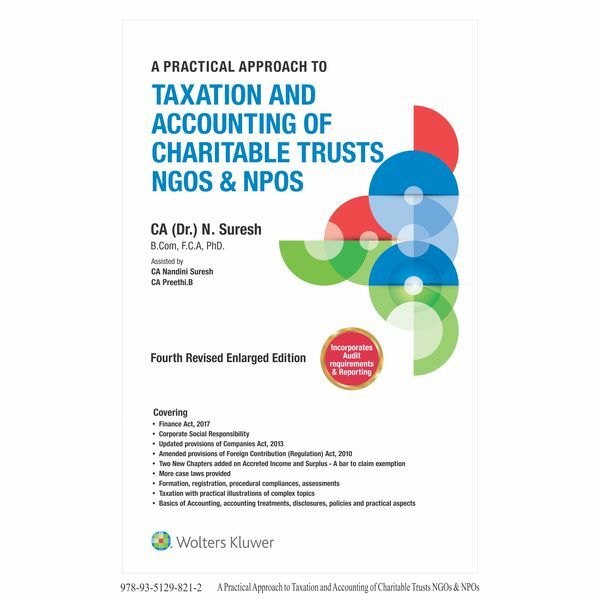 This book is an exhaustive updated commentary on the provisions of Income Tax Act, 1961 (including changes made as per Finance Act, 2017), Companies Act 2013, amended provisions of Foreign Contribution (Regulation) Act, 2010 for Charitable trusts or Institutions, NGOs and NPOs. This would be a useful reference for tax and accounting professionals associated with these institutions. This book helps the professionals and staff of these institutions in their day-to-day activities as all tax and regulatory provisions are given in-depth coverage. Complex situations are explained with supporting case laws and illustrative examples. New chapter on Surplus is a bar to claim exemption for Charitable or Religious Trust or Institution under Income Tax Act, 1961?